Long Post Ahead...Wrapping Up An Amazing Art-venture! If you've been following my adventures the last few days you probably know that I've been on an end of summer super "sock monkey" vacation trip back to Illinois. I've had an awesome time with family and friends and am sad for it to come to an end, but I'm already planning for my next visit...hehehe! 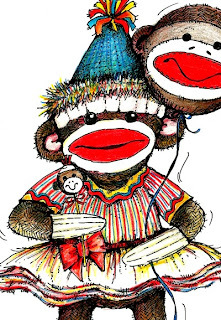 Along the way I have "art-ticulated" my trip with an almost daily silly sock monkey character inspired by the antics and fun that I've had. 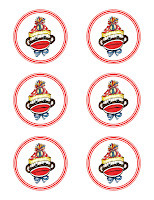 And today...as I head back to California (boarding Sock Monkey Business Airlines soon) it was no exception! My latest character was inspired after the Sock Monkey Birthday Party celebration for my Great Niece, Tatum's 1st Birthday! 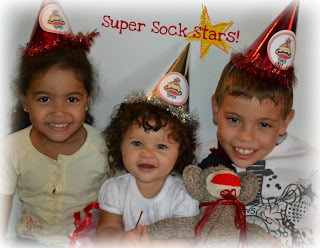 After a week of prep we finally partied like "sock stars"! It was a blast to work with my sis, Shari on this fun-tastic celebration...from making sock monkeys for the perfect party guest to the sock monkey flair that we used on the banners, cupcake toppers, party hats and treat jars! Here's a FREE download of this guy too...if want to invite a sock monkey to party with you! 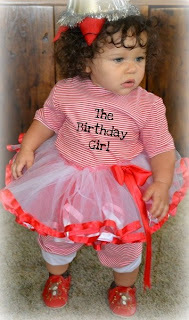 For more pix on the banner and the HOW TO - CLICK HERE! Not for commercial use or distribution...for personal use only! 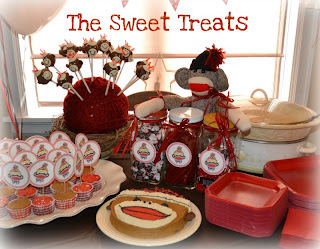 And you can be sure there was lots of sweet treats! 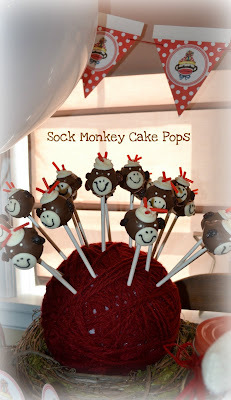 Heck, sock monkeys even turned up in the form of cake pops...YUMMY! Wow! It's gonna be hard to leave all this fun! But I must, yes I must head back to the Cali sun! It's been great, it's been awesome I'm so glad that I came. 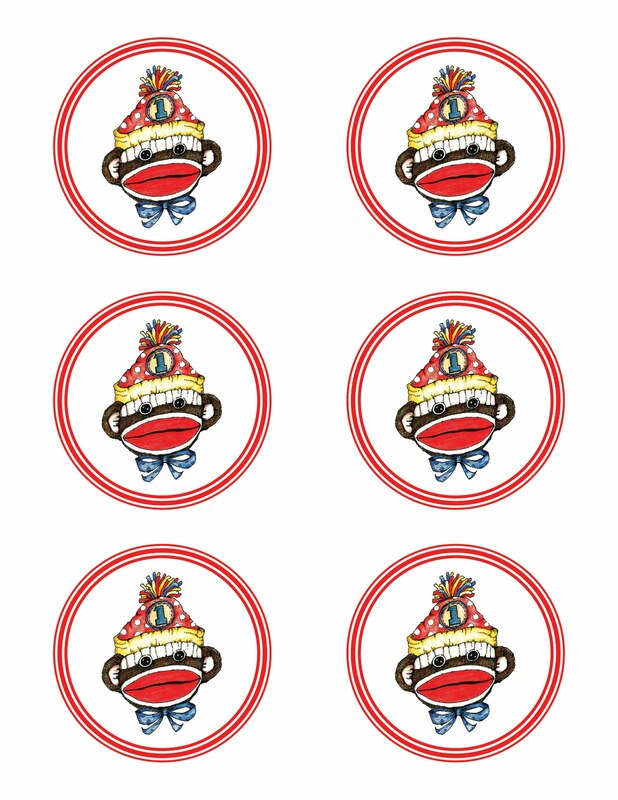 A vacation adventure a most amazing sock monkey tour! 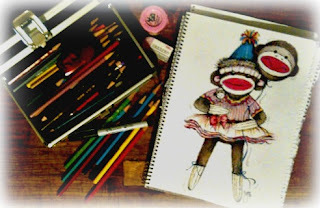 Shared over at Sunday Sketches...be sure to pop by for more super star creative fun! nice...popped over from heathers when i saw your blog title...your sock monkey sketch is so cool...nice textures....i know someone that would really enjoy this one...smiles. Oh wow! 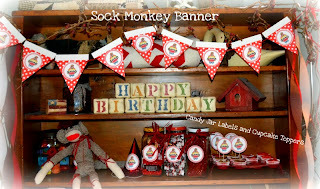 what a lovely sock monkey I love your illustration and that party looked amazing what a lucky girl! Sounds like you had an amazing special time!! Love your work it's always so happy and creative!!! Very inspiring indeed! Lucky girl! The fun continues! Oh*My*Gosh! Could this possibly be any cuter?!? "Party Like A Sock Star"? I love it!!! So, so very creative and sooo much fun! 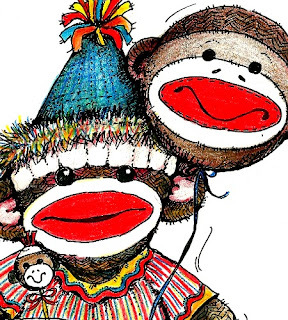 Have a safe trip back to California... Tell the pilot - no monkey business! ha! 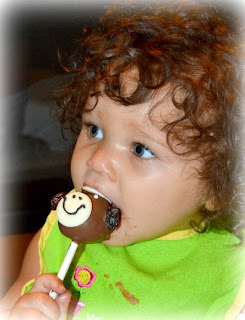 what a great post, heck, what a great party,, thats one very lucky child,, so sweet too!.Beautiful photos and beautiful art, and cake, and child, and sock monkeys, and well, everything!! cute sock monkey sketch, what a memorable party! Your great niece is adorable. Lovely post, Joni. 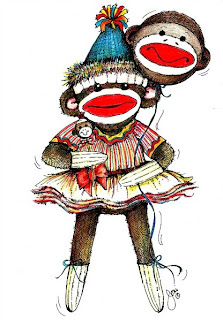 Wow sock monkey madness over here. Adorable cakes and illustrations. What a cool theme. Just delightful. 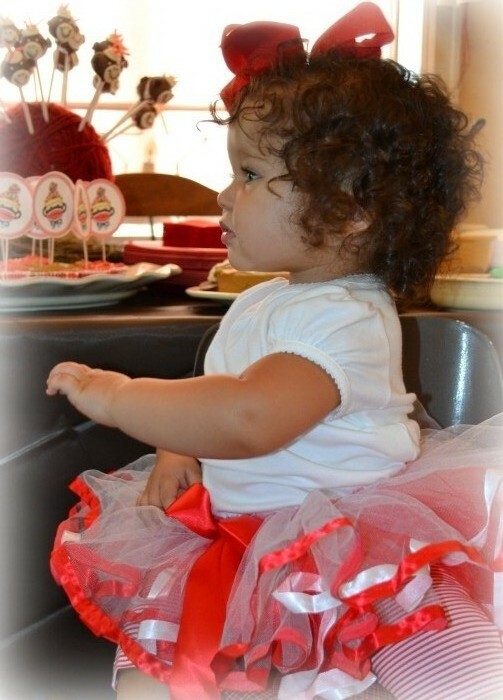 How adorable, such a cute party for such a cutie! 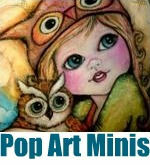 I love your work in oan and ink with the added prismacolor, looks so cool! 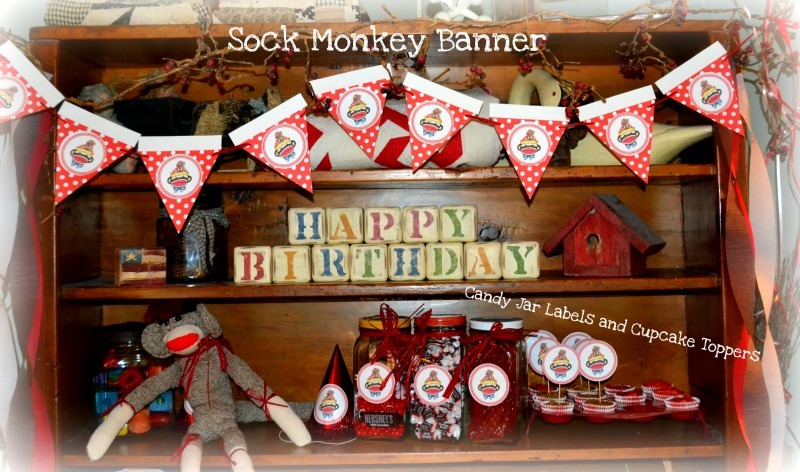 We once had a travelling sock monkey come and visit us. He was the perfect house guest, just so long as he was kept well supplied with bananas. He stayed over Christmas and climbed to the top of the tree and beat us all at BlackJack! So loved this series you created. Great, great fun. so adorable and who doesn't love sock monkeys...I just got one for my office mascot, I will try to post a pic. What a fun party! 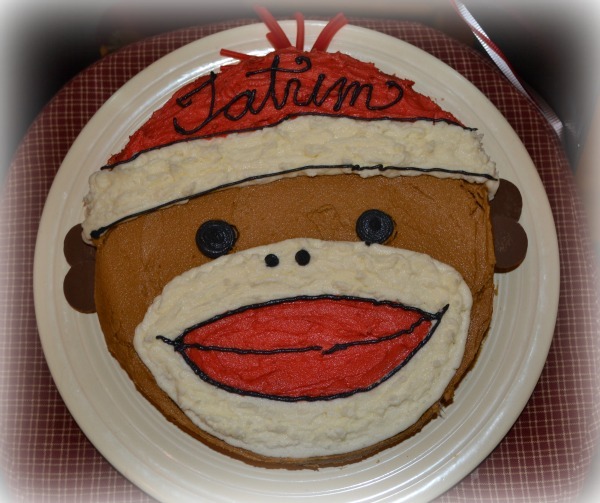 I love the cake, LOL! 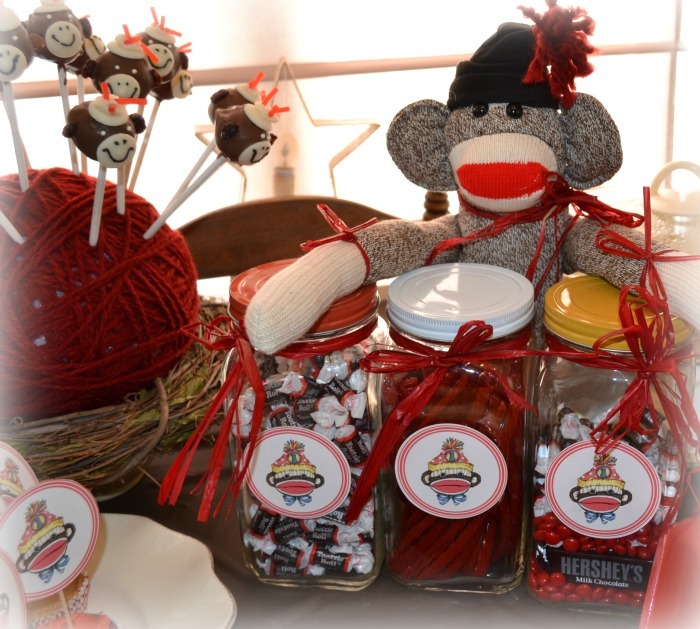 This looks like you had lots of fun with this sock monkey party! Great sketch!!! 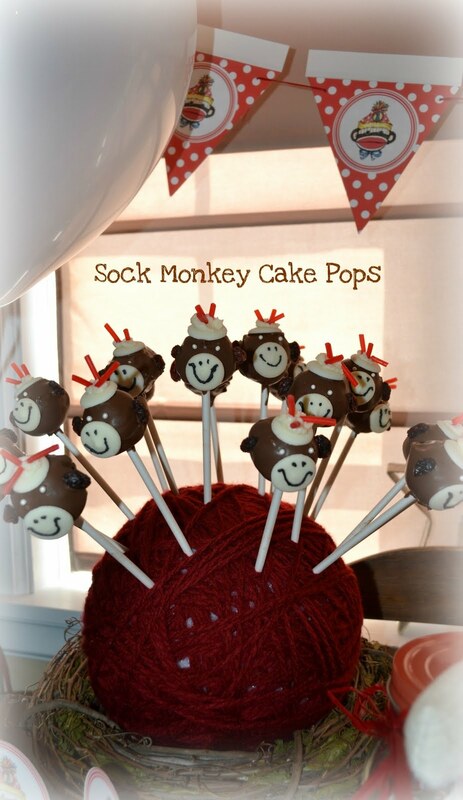 Sock Monkeys are so cute! My daughter loves them! Thanks for the comment on the Halloween Paint Can on my blog. OMG! Your sock money sketch is fabulous and the party is outrageous! 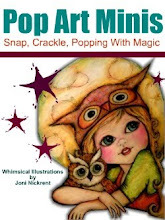 Thanks for sharing the photos and explanation of creating the pops.....very clever! I like the details and textures in your sock monkey sketches. You are one talented lady. Love all of your Pop Art.